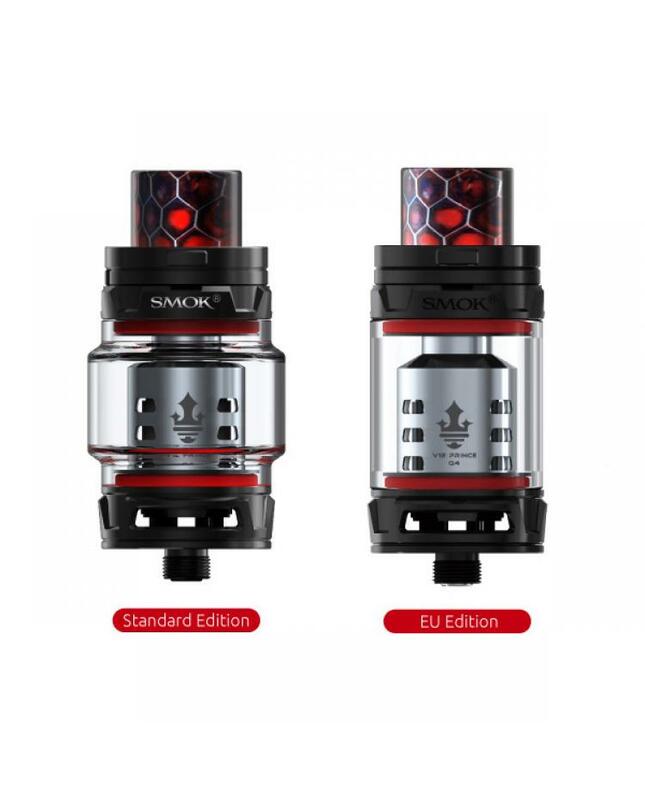 Smok TFV12 Prince Sub Ohm Tank is the most powerful beast tank by smoktech, which is the upgraded version of SMOKTECH TFV12. 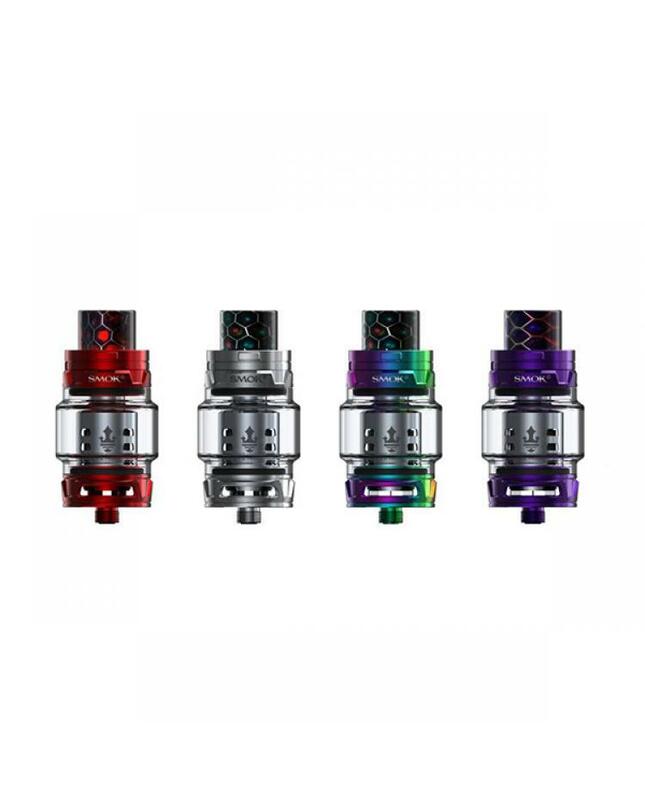 the new beast tank made of high-quality stainless steel and pyrex glass. 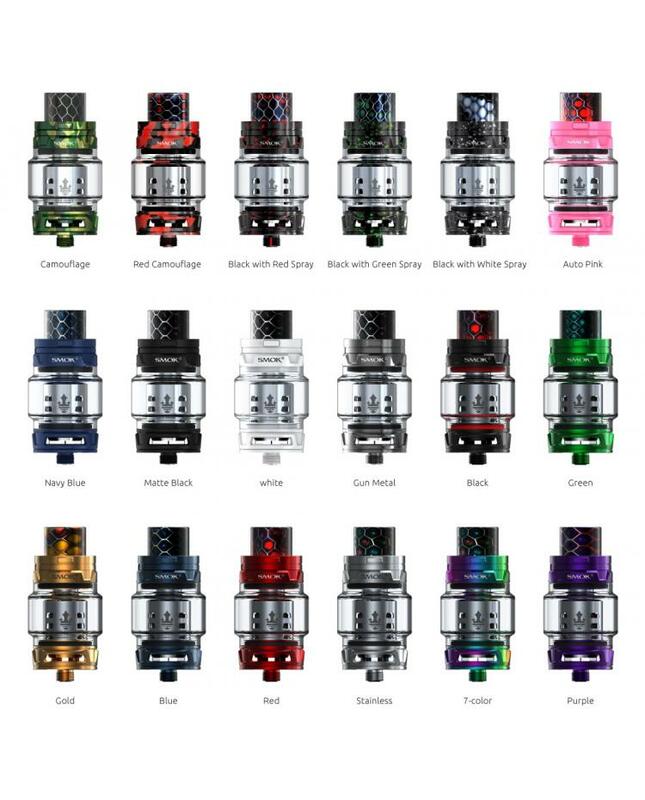 which is glossy, durable and no harm to your health, e juice glass tank made of food grade glass, which can ensure non-toxic and high-temperature resistance. 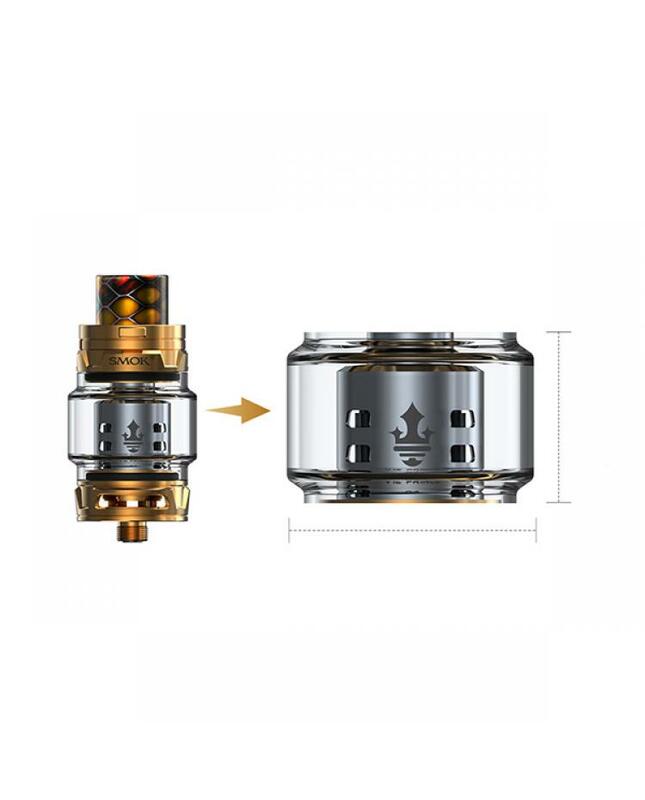 the convex glass tank which can effectively enlarge the e juice capacity, it can hold max 8ml e juice, the EU version can hold 2ml e juice. 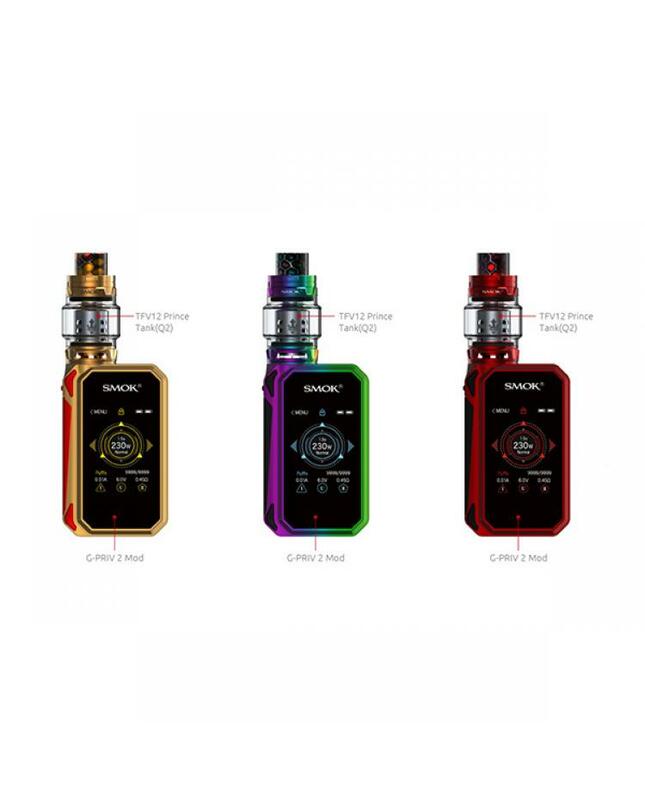 this time smoktech bring us eight different fashionable colors. 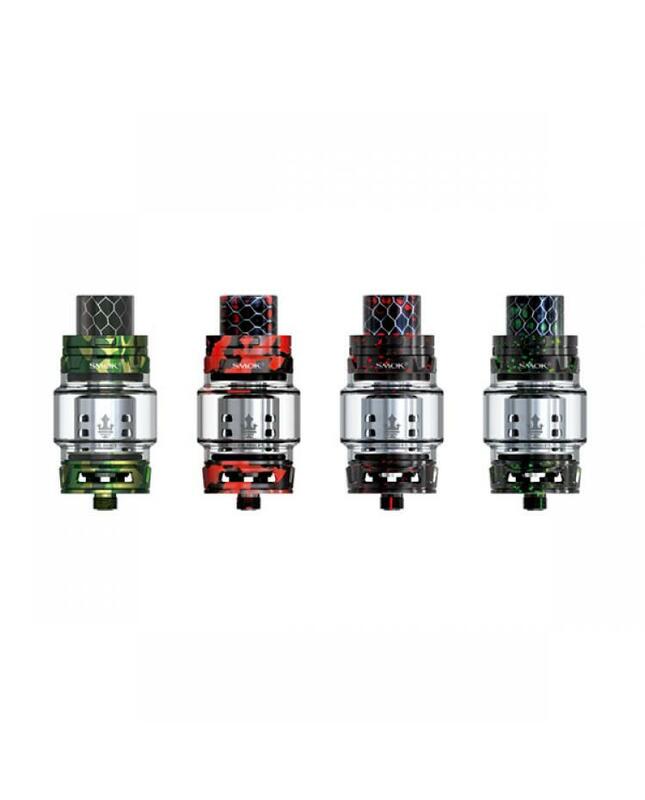 the new beast tank comes with a wide bore cobra drip tip, which has wild outlook and special tactility, besides, it will bring you increased airflow. top refill design with the patented locking mechanism, simply press the small button then can open the top cap, besides, the design can effectively avoid accidentally opening of the top cap and leaking problem. 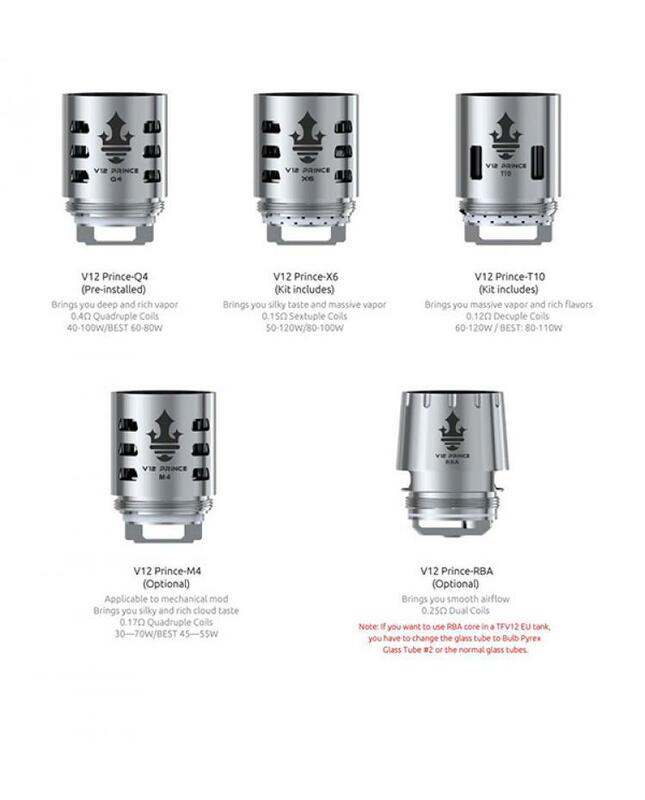 the TFV12 prince tank adopts new powerful cores, Q4, X6, T10, all of them have 12 holes on their bodies, which can make the e-juice quickly saturate the inside cotton and at the same time dissipate heat. produce massive vapor, smooth airflow, rich flavors.